The sardines may be long gone from the waters off the Central Coast, but squid are relatively plentiful. 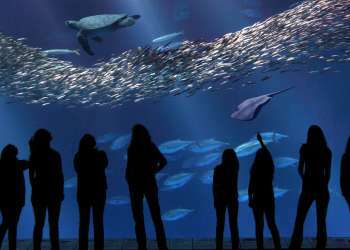 All one has to do is look at any menu at a Monterey Peninsula restaurant, seafood or not, and you’ll find calamari, the Italian word that has become synonymous with fried squid, that tender, tasty delicacy served with aioli or tartar sauce. 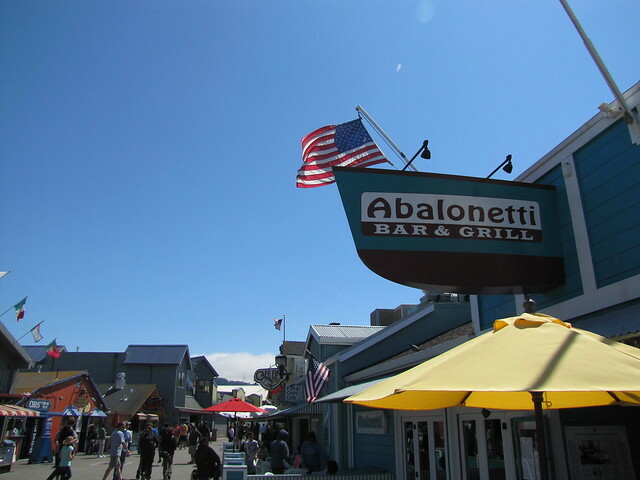 In fact, Monterey has became known as the “Calamari Capital of the World” for its plentiful squid, proximity to fishing grounds (those lights you see on boats in the bay in spring are squid boats drawing market squid up from the depths) and the community’s long Italian heritage. The word calamari itself has its origins in 17th century Italy, used as the plural of "calamaro" or "calamaio." The Italian word, in turn, has its roots in the Latin word “calamarium,” meaning "ink pot” or "pen case," and can be said to refer to the squid’s ink, its long tapered shape or the quill or reed pen-like internal shell. And technically, squid and calamari are different cephalopods. Squid is cheaper and tougher, while calamari is more tender and expensive. Squid has fins that forms an arrow shape, while calamari’s “fins” run the length of its body. But the terms squid and calamari are often used interchangeably these days and often can’t be distinguished from each other unless you’re a fishmonger, chef or very discerning consumer. There are more than 500 species of squids and can be found in varying shapes, sizes, and weights. Squid is California’s second largest fishery in terms of tonnage, but what many people don’t realize is that a majority of the commercial catch is exported, mostly to Asian countries. Even so-called “Monterey Bay Calamari” is squid that has been caught locally, shipped to China, where it is cleaned, processed and frozen and shipped back to California. So, technically, it’s local squid, but it’s been on a long journey to get to your plate at a local restaurant. 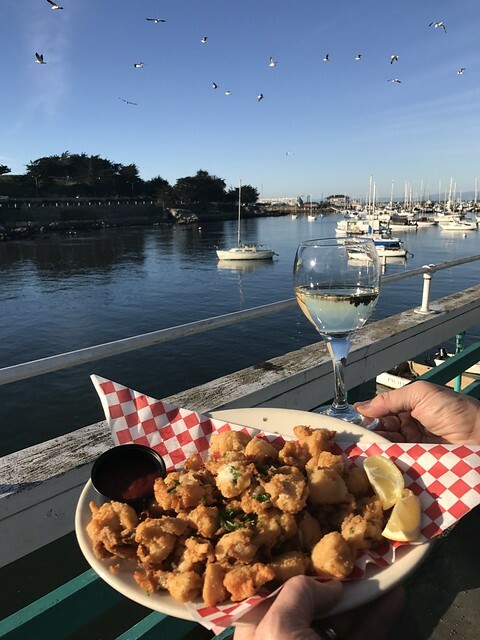 And while calamari can be found on virtually every restaurant menu on the Monterey Peninsula, as the “Calamari Capital of the World,” the headquarters, as it were, is Old Fisherman’s Wharf, where you can not only find calamari on all menus, but you can buy it directly from the source from fish markets there. 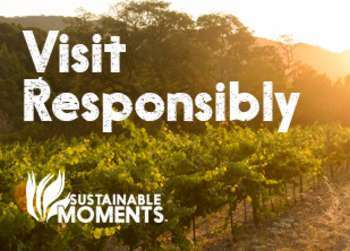 By buying direct you’re making the most sustainable purchasing decision (and avoiding the calamari that have made the round trip to and from China) and get a fresher, better-tasting product. According to Kevin Phillips, managing partner at Abalonetti Bar & Grill on Fisherman’s Wharf, over-processing is the worst thing one can do to fresh squid. In a recent article in Edible Monterey Bay, Phillips said he buys only fresh local squid and hires a full-time employee to clean 1,000 pounds of it a week in a room behind the restaurant. Abalonetti has been known for 60 years as the place for calamari, and serves it in a variety of ways, from classic fried calamari (with chipotle sauce, fresh pico de gallo or Buffalo style), marinated, flash-fried, added to Caesar salad, grilled steak-style, on pizza, rings and tentacles with chips, sautéed in white wine and garlic (Siciliano), barbecued, rings and tentacles simmered in marinara over linguine (Napolitana), and The Marty Special, which is calamari filets over fried eggplant with marinara, Parmesan and mozzarella. In fact, the restaurant’s name itself signifies a style of serving calamari: abalonetti is the name given to the squid when it is prepared like abalone. The skin is removed, the squid is split and pounded until tender, then breaded. From that point it can be prepared in many ways. The restaurant offers more than a dozen ways to serve calamari.